Myth or Fact: You cannot (ever!) 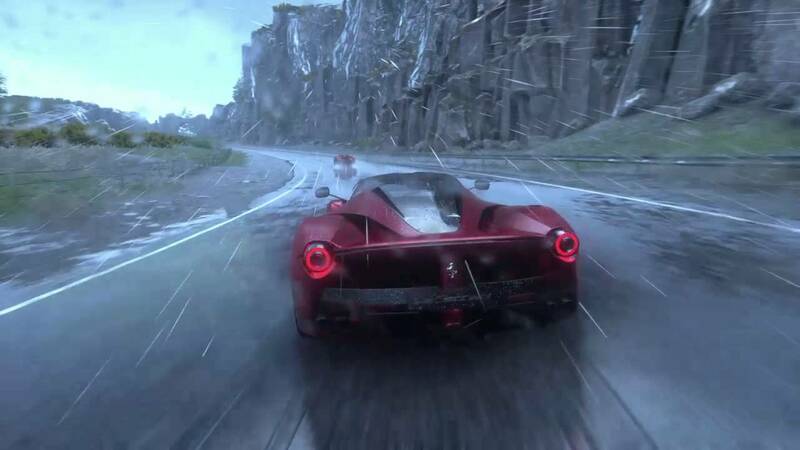 drive your Ferrari in the rain. We are happy to report that this is a total myth, concocted by exotic-car-enthusiasts years ago…we’re actually not totally sure where this idea came from, but after hearing countless customers echo the same sentiment, we thought we’d set the record straight. What is it about the rain that scares people, to the point where they think it’s going to harm their Ferrari? We’re talking about water, after all…aren’t we? When these cars were built in Italy it rained, without any of them melting. Ferraris are supposed to be in the elements and it is normal that they are going to be in the rain. What I tell everybody is, if you properly maintain your Ferrari, if you wash it and wax it regularly, if you know how to maintain the physical condition of the paint on your Ferrari, driving your car in the rain is nothing to be concerned about. That being said, however, there are some things to be cautious of when taking your car out in inclement weather. Debris on the road (if it is a storm, for example, tree limbs could fall down and not be visible), and other drivers (i.e. the possibility that somebody hydroplanes and crashes into your brand new Ferrari F430). These are the things that should concern you when you are thinking about driving your exotic car in the rain, not the rain itself. With proper care and maintenance of the physical condition of your car (maintaining the paint and regular wax treatments, etc), there should be nothing to worry about as far as rain getting on your beloved Ferrari 360. Rain or shine, I believe it is just fine to drive that brand new Ferrari 458 or your classic, pre-owned Ferrari you’ve chased after for years.